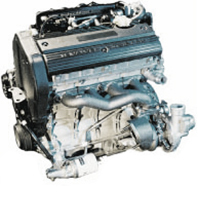 Rover’s 16v K-series engine has been the subject of huge debate and featured on TV programs like BBC Watchdog. It has been a headache for owners, garages & remanufacturers since it was introduced in 1988. It’s main problem is a combination of the unique design of cylinder head gasket & a manufacturing defect in the cylinder head casting which has inflicted misery on owners and garages alike ! In fact, we at Modus believe the K-series engine to be a fantastic compact, lightweight unit, durable when modified to overcome the manufacturers fault. This is usually to do with the red neoprene sealer that is attached to the gasket – this is damaged very easily. Early manufactured gaskets had this sealer lightly bonded to the surface of the gasket and was prone to just coming detached by any gentle contact. Later, gaskets were improved by bonding the sealer together through holes in the gasket. This stopped the sealer scraping off but is still prone to ‘nicks’ if not being fitted with absolute care. Landrover do now offer an alternative multi-layered steel head gasket with no neoprene sealer, this is certainly the best gasket yet but doesn’t solve the second complaint. • Cooling system pressurization leading to overheating. There is a combination of two factors causing this problem. One is that the head gasket comprises of a very narrow combustion fire ring (only 1.5mm) which seals the combustion chamber pressure from the cooling system. The other is the fact that the aluminium used to cast the cylinder heads was not pure. This leaves tiny cavities within the whole casting often showing up on the cylinder head face as black ‘fleck’ marks and where the combustion fire ring has been in contact with the face, small ‘centre punch’ imprints will be evident all round. Each one of these imprints is a potential gasket failure point. If the gasket fails and the engine overheats, the casting softens allowing deep circular imprints or grooves to be made in the head face where it contacts the gasket fire ring. At Modus we have designed a unique solution to eliminate this manufacturing defect. We machine a groove in the cylinder head face where the combustion fire ring contacts, removing the inferior material. We then fit a pre-manufactured good quality aluminium ring. Finally we reface the head leaving a perfect surface for the combustion ring to seal against. Again, Landrover have tried to overcome the issue and offer a steel shim to be fitted in conjunction with the multi-layered steel gasket. This is fitted against the cylinder head face to act as a solid surface but the shim is too thin and doesn’t offer enough protection to the cavities in the cylinder head face. This is also a component that appears to allow coolant to leak externally after only a few months occasionally. 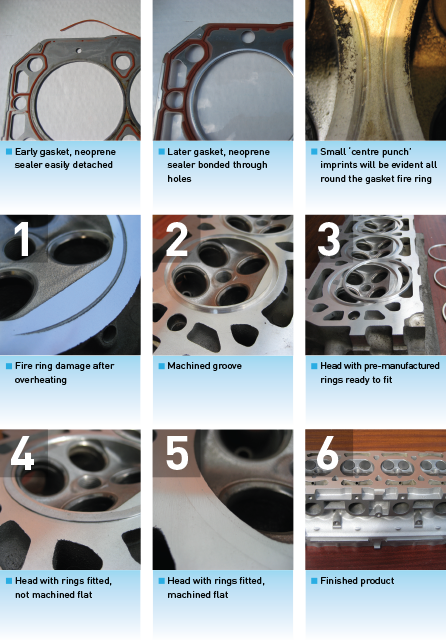 The Modus solution is a tried and tested long term solution to K-series head gasket misery! This modification is not available for the VVC due to it’s bigger valve sizes.